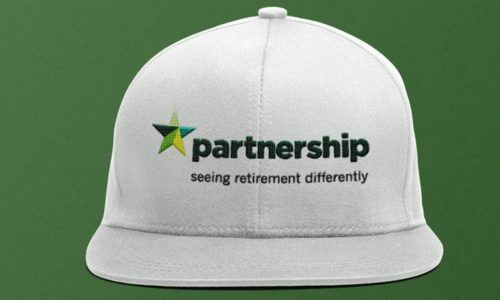 Partnership is the first and the longest established UK insurer specialising in the design and manufacture of financial products for people whose health and/or lifestyle means that their life expectancy is likely to be reduced. They cater for clients with a wide variety of lifestyle habits and health conditions, from the relatively minor, such as a smoking habit and high blood pressure, to the more serious, such as heart failure, stroke, diabetes, kidney failure and cancer. Garment Printing was contacted by Partnership for an Express same-day print request. They wanted some quality personalised caps with their logo printed and delivered to their London offices by a stated time, ready for a London corporate event. Express orders are something of a specialty for Garment Printing. We have an expert team who are quick and efficient in handling clients’ orders and delivering top quality printed garments on time. Express orders can be complicated as there are many things that can go wrong, when they do, we are quick to act so that the client isn’t inconvenienced in any way. We decided on high-quality laser transfer printing as it’s perfect for quick, next day, express printing and offers great results on white products. We decided to print onto our Beechfield BC010 5 panel cap as it is a great canvas for transfer printing. The printed caps were produced within 10 minutes of receiving the order and were shipped out on a same-day delivery service within London and delivered to the client in time for their London corporate event.